Early on a Tuesday morning, fifth grade students at Model Elementary School file into their classroom, chatting excitedly and high five-ing their teacher, Mr. Wolfe. Today’s lesson, says Mr. Wolfe after the students find their seats, is on the origins of the Revolutionary War. “Who can tell me about the Boston Massacre?” says Mr. Wolfe. Around a half dozen hands shoot up into the air. The students share their answers, then Mr. Wolfe powers on the overhead projector and clicks on a movie; a historical account of the Incident on King Street. This classroom scene may remind you of your own elementary school days. Many of us may have spent more time looking out the window (or even drifting off at our desks) than absorbing new information. Of course, when it came time for the test, we would cram just enough to earn a passing grade. But if asked about the the origins of the Revolutionary War now? Well, let’s just say we might have to Google it. In this classroom –– and in dozens of others across the Goshen Community Schools district –– students do not only listen to lectures, memorize facts, and take unit tests. They think deeper, empathize with historical figures, and work cohesively in groups. They actively engage with their education through real-world problem solving, group projects, and community involvement. The difference in these classrooms is palpable –– and for many students and teachers, it’s life-changing. 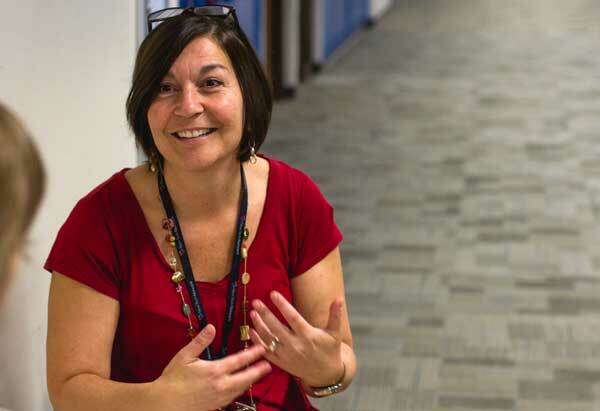 At Goshen Community Schools, that difference is due to something called New Tech. For the 2016 – 2017 school year at the Middle School, approximately 250 sixth graders, 125 seventh graders, and 125 eighth graders enrolled in New Tech. The New Technology Network, often shortened to New Tech, is an international educational model based on projects, engagement, and life-skill development. The network’s goal is to help students develop interpersonal skills needed in the real world, such as communication skills, collaboration, confidence, and problem-solving. In order to form New Tech schools, districts must partner with the network to receive special tools and training for teachers and administrators. In 2015, Goshen Community Schools began implementing the New Tech model after receiving a School Improvement Grant through the Indiana Department of Education. The program was first put into effect in first- and fifth-grade classrooms at Model Elementary and at Goshen Middle School, with hopes of eventually expanding the model throughout the district. New Tech is often praised for going one step further than many other project-based learning initiatives. It offers curriculum-based learning outcomes so that teachers and administrators can monitor the progress of students –– even when measuring ambiguous concepts like collaboration and confidence. 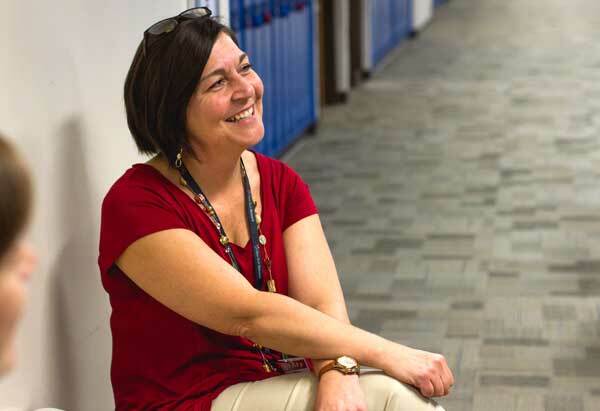 “New Tech really provides a systematic way of making sure, with rigorous rubrics and consistent support, that we’re getting the outcomes we want from our students,” said Goshen Middle School Principal Lori Schreiner. 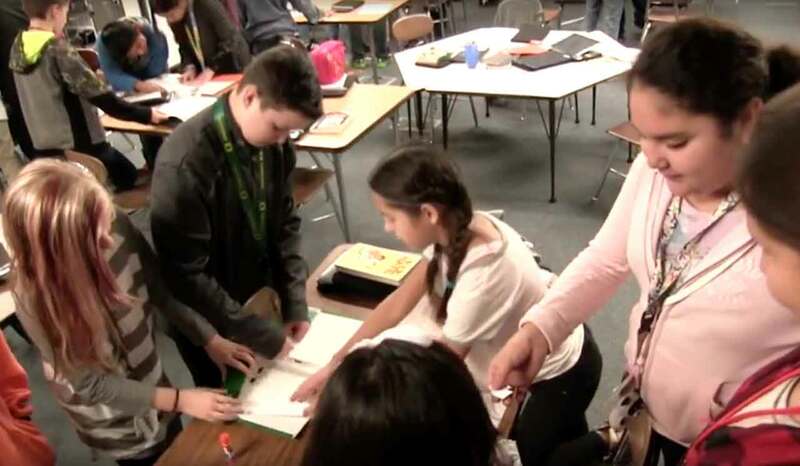 Considered a “school-within-a-school,” New Tech students and teachers are located in a separate wing and learn from a separate curriculum, all while staying deeply connected to the larger school culture. New Tech students take on more social and academic responsibilities than they would in the typical classroom –– often, through group projects that relate to real-world problems. For example, Goshen Middle School eighth graders wrote short novels about the Revolutionary War, then read them aloud to elementary students. And in a New Tech science class, sixth graders created their own ice cream flavors that were later served in the school cafeteria. Since the launch of New Tech at Goshen Community Schools, the program has made a significant impact on both students and teachers. Schreiner says she has seen massive positive change first-hand. Back inside Mr. Wolfe’s classroom, the room is abuzz with conversation about the students’ new project. They’re studying causes: Why people join movements, the impact of community involvement, and the impetus behind activism. Their earlier lesson on the Boston Massacre gave them a historical perspective, and now they’re discussing what causes look like in today’s world. It’s not only New Tech students who are more excited than ever to come to school each day. Teachers are, too. 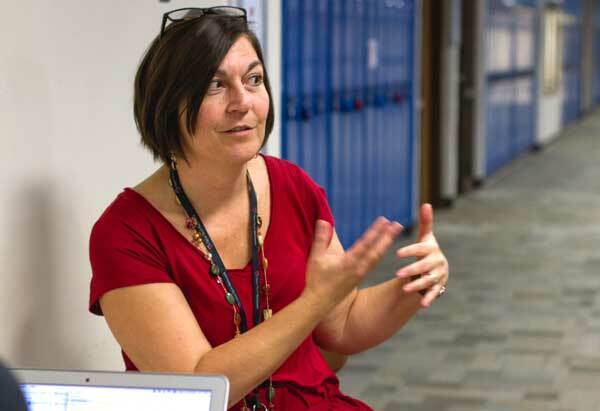 Although the New Tech Program is still in its early stages at Goshen Community Schools, teachers and administrators are already looking forward toward the impact that New Tech students will have on the broader community, and maybe, the world.